Three Ukrainian troopers were wounded when illegal armed formations opened fire from light weapons and grenade launchers from 21:30 to 24:00 on 3 August near the demarcation line between a new motorway bridge and the Stanytsya Luhanska checkpoint in Luhansk region. 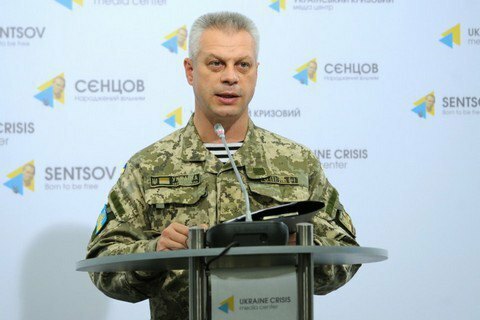 Presidential administration press officer on ATO issues, Col. Andriy Lysenko told a briefing in Kyiv on 3 August that the troopers were wounded in Stanytsya Luhanska, Krymske and Mariyinka. Another soldier suffered slight injuries in the town of Krasnohorivka during a mortar attack. "One enemuy trooper was killed and another three were wounded over the past day. These are militants from the so-called Third Brigade of the Russian occupational forces stationed in the town of Horlivka," he said.